Husband to Tricia, Office Manager, and father of four wonderful and active children. 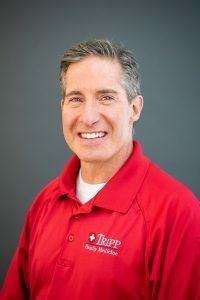 Dr. Tripp enjoys athletics, fishing, camping and variety in food. Due to his time spent in South America, Dr. Tripp speaks fluent Spanish. Jeremy graduated from Idaho State University with a degree in Exercise Physiology. 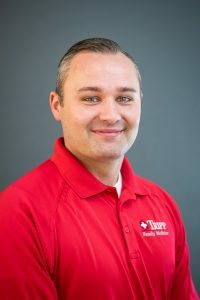 He attended TTUJSC (Texas Tech University Health Science Center) PA program. 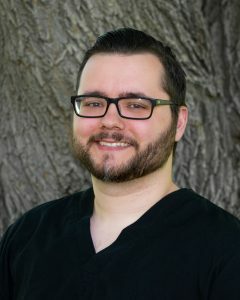 Following graduation he worked in El Paso, TX in family medicine and emergency medicine where he learned to speak Spanish. Lauren is from Minnesota originally, but has been able to explore and fall in love with the outdoors of the west. 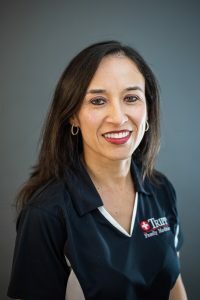 She has had experience with working with patients in both the hospital, nursing home, and clinical setting. She is passionate about woman’s health, but also the importance of addressing the whole patient with both physical and mental wellness. She enjoys spending her time in the outdoors from running, hiking, to snowboarding, when she is not seeing patients. 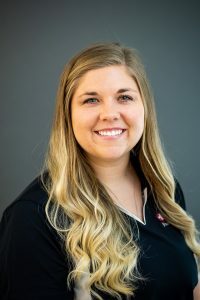 Lauren completed her undergraduate education at Concordia College in Moorhead, MN and graduated with a degree in Biology. She proceeded to Idaho State University where she received her Master’s in Physician Assistant Studies. 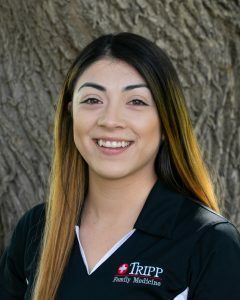 Before moving down to Magic Valley, she spent her first 3 years after graduation at a community health center in Billings, MT while also partaking as a member of the National Health Services Corps. 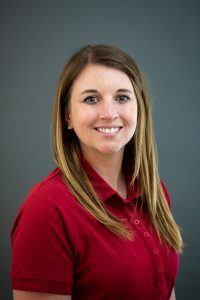 As an Idaho native, Martha has recently returned from the east coast and looks forward to enjoying the people and outdoor activities she’s come to love. 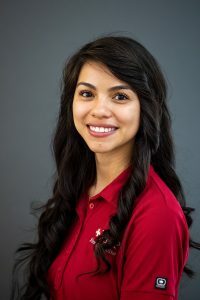 We are super happy she chose to help us care for our English and Spanish speaking patients’ medical needs. 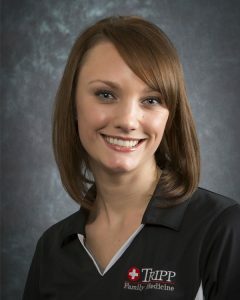 Her gentle approach and excellent listening skills lead to a successful provider/patient experience. She is now accepting new patients. Please let your friends & family know. 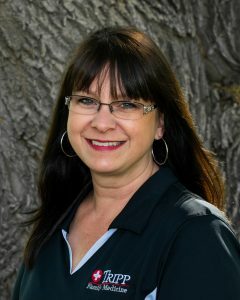 Martha earned a Bachelor’s degree in Biology from Idaho State University. She then attended Salus University in Philadelphia, graduating in 2018 with a Physician Assistants degree. In 1988 when Jonathan and I met I never imagined how fun chaos could be. Just finishing my own math degree, I thought I was marrying an accountant and could settle down to a routine life. A few years later when he decided to change to medicine we started a ride that has culminated with our family of six settling in the Magic Valley. If I’m not at work, I’m at a school, sports event, a church function or at home feeding someone. The vision for our practice has been a place of healing, comfort and friendly faces. I am so grateful for the wonderful people who enrich my life each day including family, patients and staff. After 30 years in the advertising, events and retail sector, I am applying my experience towards the Tripp’s success. It is my wish that every patient has the best possible experience at every point along the way. 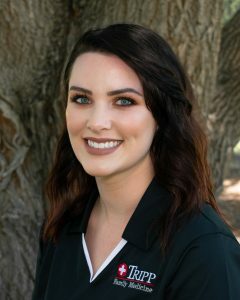 As a CSI Alumni, you’ll see me involved in the local schools, churches and community organizations throughout the valley. Please feel free to reach out to me with any concerns, donation requests or outreach opportunities at office@trippfamilymedicine.com. I completed a Bachelor of Science degree at Oregon State University and have lived in Southern Idaho since 2009 with my husband, daughter, son and three dogs. My family is very involved with Declo High School and various sporting events. Since starting with the Tripp Family in 2012 I’ve found joy in helping others understand their insurance. After 13 years at Robert Stuart Middle School I joined the Tripp Family Medicine team and have seen the office grow by leaps and bounds. My favorite part of the day is when you walk into the office. I love the opportunity to register each patient, answer questions and help you feel comfortable. My husband and I both grew up in this valley and have two active daughters. All of us are active in high school sports as participants, coaches or scorekeepers. I love living in this beautiful state and enjoy heading to the hills to camp and explore. I moved from the Teton Valley in 1999 to study at the College of Southern Idaho. I have several years of experience in medical billing and coding. I am an avid barrel racer and enjoy the outdoors with my husband and son. I love interacting with patients and getting to know them. My insurance knowledge means I am able to provide help when you have questions. I was born and raised in California then moved to the Magic Valley in 2012. Besides going to the gym, being the best mom possible to my 2 beautiful kids are the things I enjoy the most. Working for Tripp Family Medicine is an amazing experience. It is great to be able to help patients with their daily needs and see them walk out with a smile. I have worked in healthcare since 2008 and love putting a smile on patients’ faces. I enjoy hunting, fishing, and taking our jet boat out on the river with my family. My husband and I moved to Twin Falls in 2012 and have since welcomed our first child. I am from Bogota, Colombia. Before leaving Colombia I completed a Bachelors in Business and worked in patient services management of a large hospital. My daughter and I have lived in Alaska and Idaho. I love interacting with patients because I get to know new people and learn from them. It is my belief that God is always there for me, helping me choose the path I need to take. In 2013 I started working in the medical field while living in Nevada. Having followed my sister to the Magic Valley I continue to enjoy the hunting and fishing Idaho has to offer. If you’d like to access your medical records , I’d be happy to help you navigate our online portal. I love making people’s day brighter and look forward to sharing my smile with you during your visit. 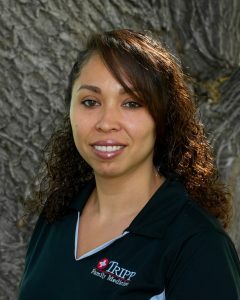 I grew up in Twin Falls, graduated from Twin Falls High School and later attended the CSI Nursing Program. I completed the program in July of 2014 and started with Tripp Family Medicine immediately following my test. I am married to my high school sweetheart. We enjoy going to dinner with family and friends, camping, playing with our dogs and going to car shows. I graduated from the CSI LPN program in 2014. As the mother of two children I enjoy attending their various sports activities as well as family gatherings. Being fluent in Spanish and English is one of the many skills I bring to our office. I graduated from the CSI LPN program in 2007. 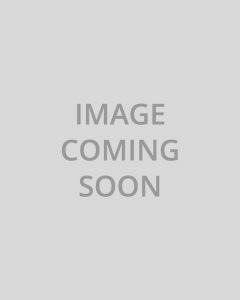 I have worked in the ER and Specialty Practices. Being a nurse is important to me because I get to help people feel better physically and emotionally. I am married and have two children. Some of my favorite places to visit are the South Hills (where we were married), Cancun, and Hawaii. 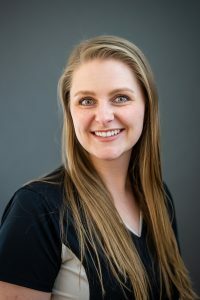 After raising a family of 4, I started nursing school at College of Southern Idaho. 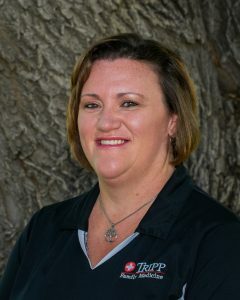 Graduating in 2013 with an LPN degree, Tripp Family Medicine has been the best place to start my nursing career. I love this family practice where I can apply my love of helping people. Summer is my favorite time of the year due to the large amounts of sunshine. In my free time I enjoy being outside with family and friends, camping, swimming and barbequing together. Since graduating high school, nursing is all I’ve done. Starting as a CNA in long term care I went on to apply those skills in labor & delivery and emergency room environments. Desiring to bless both my family and patients even more, I chose to return to school and graduated with a Licensed Practical Nursing degree from CSI in 2007. Geriatric psych is where I started before switching to a clinical setting. In 2016 I was pleased to join the Tripp team. The family environment that exists among the staff truly mimics the care we provide each family that comes to the office. Almost all my free time is spent supporting my children at their sporting events and various activities. Reading, knitting and going on walks are the “me time” things I enjoy the most. 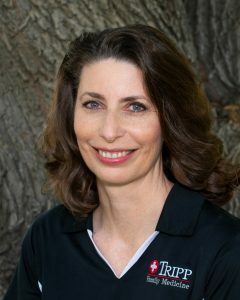 I come to Tripp Family Medicine with a 13 year background in emergency medicine and special education in Blaine County. After raising our children and moving to Twin Falls, I decided to finish my nursing degree at CSI in 2015. Joining the Tripp’s in their pursuit of providing quality and compassionate health care has been a wonderful and fulfilling experience. When not at work I love spending time with my husband, hiking the canyons, and learning about being an empty nester! We especially enjoy being with family and friends and hugging our grand-babies. 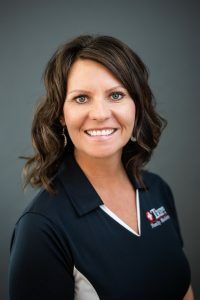 Life is good in the Twin Falls area and I look forward to meeting the wonderful patients that come in to see us each day. I graduated from the College of Southern Idaho in 2017 with my certificate in Medical Assisting. 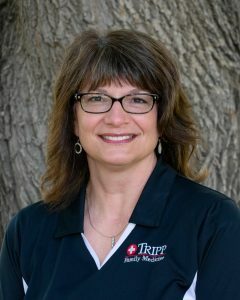 I have been with Tripp Family Medicine ever since and am loving every minute of it. I am so blessed to come to work with people who share my passion for helping others. I am an Idaho native and have been living in Twin Falls for 7 years. My fiance and I enjoy all the beauty Southern Idaho has to offer, taking our 2 dogs hiking and camping every chance we get. I look forward to the many years to come with the Tripp Family. 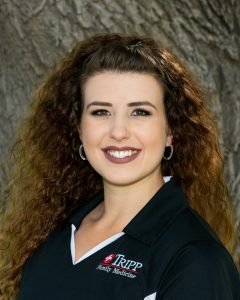 I completed my LPN at the College of Southern Idaho in 2017 and shortly after receiving my license, I started working for Tripp Family Medicine. I feel extremely blessed to be part of this team and to be part of their mission to help others. There is immense joy and purpose in nursing and I’m thankful for all the patients that come into this office who allow me to be part of their care. 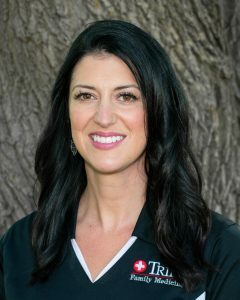 I’m a born and raised Idahoan and when I’m not working, my husband, two girls, and I enjoy taking in the outdoors. We love fishing, hiking, kayaking, and camping. Other hobbies of mine include photography and doing crafts with my girls. My name is Crystal Fedder. I am married with four children and one lab. 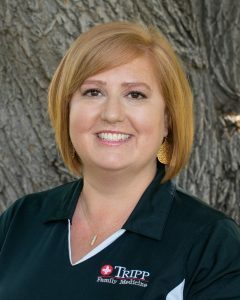 As a licensed Cosmetologist for 12 years and a recent graduate of College of Southern Idaho’s Licensed Practical Nursing Program, I started with Tripp Family Medicine in October of 2017. I love my new position and am learning so much every day. I am very blessed to have found a position where I can utilize my cosmetology and nursing skills. I completed my RN degree at BYU-Idaho in 2012 and have enjoyed working in medical/surgical, Infusion/Oncology, and Day Surgery. I love working with patients and seeing how I can make their day better. I am married to my sweetheart and we have one child. I enjoy volleyball, hunting, fishing, camping, and eating ice cream. I am grateful to work at Tripp Family Medicine where I have personally experienced the passionate care they provide. In 2006 I completed the LPN program at College of Southern Idaho and have been practicing nursing ever since. Patient interaction and making someone ill feel better by putting a smile on their face or even just listening is the best part. I’ve expanded my interests to include the cosmetic skin care services we offer. My hobbies are “makeup” and spending time with my family. I enjoy working for Tripp Family Medicine because we are all one big family. I have learned so much working beside these great providers. I am grateful. We moved our family here in 2015 from Pocatello, Idaho so I still feel somewhat new to the Magic Valley. I am a recent graduate of the Medical Assisting program at the College of Southern Idaho. Being welcomed in as part of the Tripp Family Medicine team leaves me feeling blessed and grateful. I am an avid reader and enjoy spending my free time with my husband and our 3 amazing children. Even if that time is spent sitting on the bleachers cheering at their various activities. 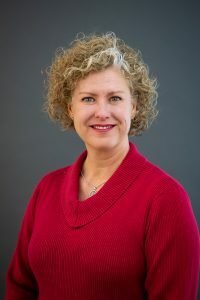 I earned my Bachelor of Communication degree from BYU-Idaho and went on to further my education in the medical field by earning my Associate of Science in Registered Nursing from the College of Southern Idaho. I was born and raised in Twin Falls and my husband and I are now raising our three little boys and one little girl in the Magic Valley and we love it! We love to be outside camping, riding bikes and playing sports. 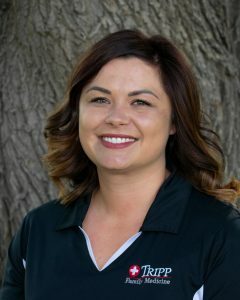 I am so excited to be a part of the Tripp Family team and look forward to interacting with and helping care for the great people of the Magic Valley. 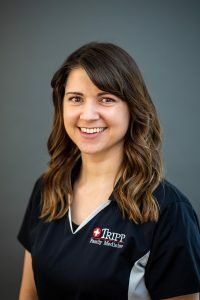 Since graduating from Northwest Laser Institute in Boise in 2018 with a certificate in Medical Assisting I have been with Tripp Family Medicine. High school was a busy time. My activities included 4-H, FFA and sports. I have always been a very outgoing person and absolutely love the outdoors. Fluent in both English and Russian, I look forward to providing the best care for our patients. 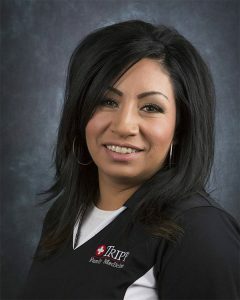 Michelle just joined the team at Tripp Family Medicine but has jumped in with both feet and has already shown her ability to learn quickly. She has a great attitude and brings with her much pediatric immunization experience. We look forward to sharing her with all our amazing patients so that everyone can see what makes being a nurse in our office so different. We look forward to writing a great story of healing and comfort with Michelle as a big part of that journey! I am currently a student at the College of Southern Idaho studying Biology. 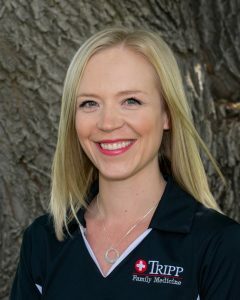 Since starting at Tripp Family Medicine I have come to understand the importance and impact that comes with caring and helping patients and their families.